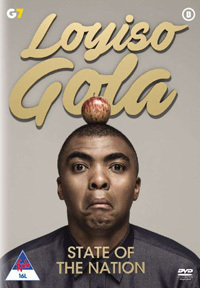 Shot at Gola's State Of The Nation live stand-up comedy show (Grand West, Cape Town), the focus of his material is squarely anchored in South African politics and culture. Loyiso doesn't pick sides and let's anyone who have it. Sure, race is a big part of his comedy subject matter, but like any good comedian, he makes it possible for everyone across the racial spectrum to laugh at its various absurdities, and in stead of alienating, deliver a lot to have his diverse audience find common ground, sometimes with something as simple as… beetroot. Yes, it doesn't make sense here, but when you watch it, you'll split your sides! Very funny, very relevant, and very much needed when we get despondent about a country run by self-serving corrupt fools (I am always interested to see how a foreign audience would grab the humour - Trevor Noah having made that trabsition well). Some naughty language earns it a 16 age restriction (although all South Africans should see this, and realise we have more in common than not).